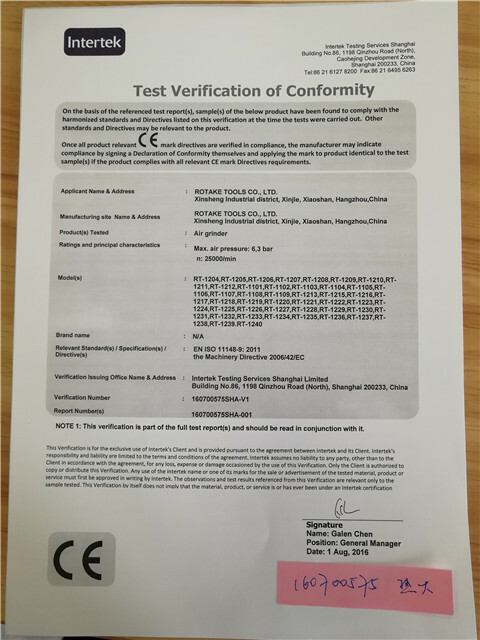 Company Overview - Hangzhou Rotake Tools Co., Ltd.
10YRSHangzhou Rotake Tools Co., Ltd.
ROTAKE is a professional manufacturer of air tools which mainly service for automotive and also other industrial market. 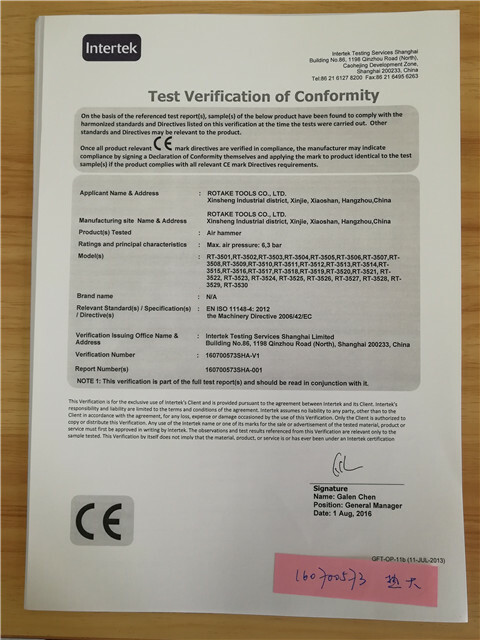 The full range of professional tools including air impact wrench, air ratchet wrench, air sander, air angle grinder, air die grinder, air drill, air hammer, air screwdriver, air spray gun, air nailer and stapler, air tools accessories etc.With more than 8 years of manufacturing and exporting, we are ready to meet different demands from our customer. 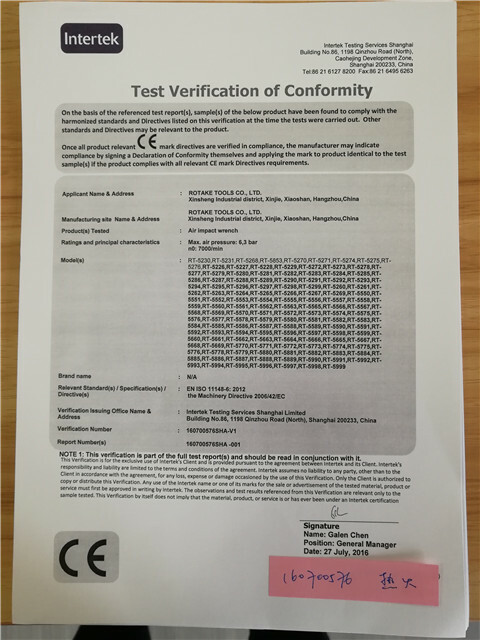 Order preparation, package design, and shipment delivery will be well organized within 20 days.All of our products are CE certified with strict quality control, we tests the goods piece by piece before delivery. 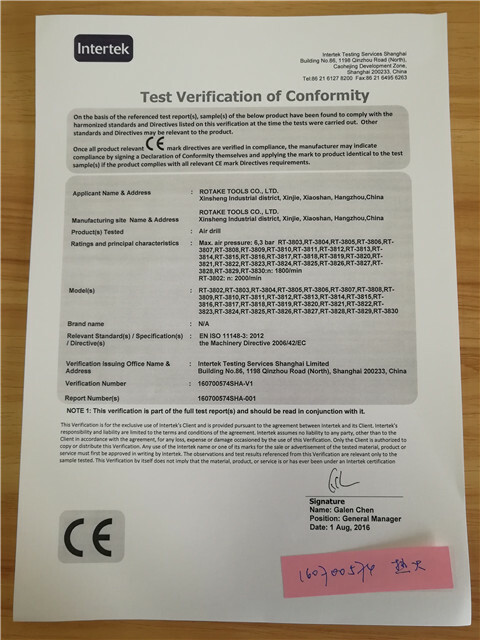 In the meantime our guarantee for every product is 1 year with full line spare parts supply.ROTAKE, your quality partner for professional air tools!